This week, the team went on a whistle stop tour of the UK in a series of surprise visits to incentive winners. 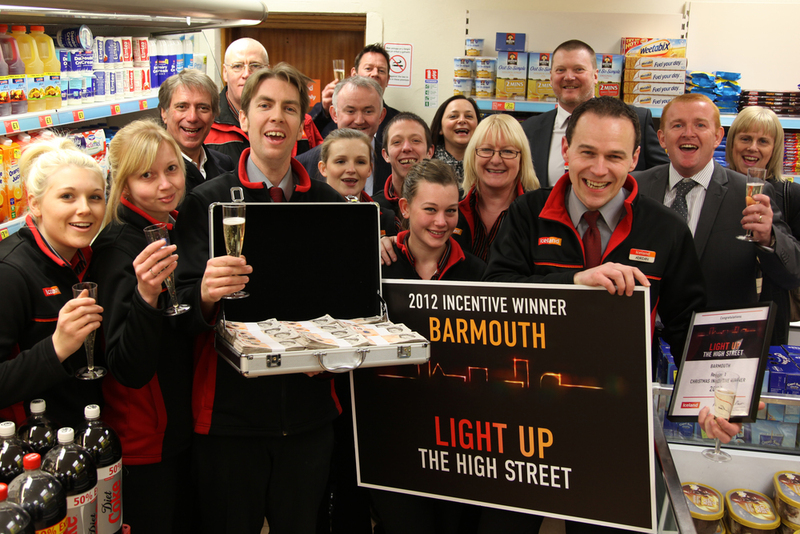 Six Iceland store teams had won 'best in Region', voted by their customers at Christmas. The incentive was launched at the annual conference in Dublin in October. Cascade put together the prize hampers and presentations and are organising the incentive winners' trip of a lifetime to New York. Throughout the two day tour, Cascade recording everything with video and stills, including the helicopter trips between locations (Saffron Lane (Leicester), Downham Market, Upminster, Port Talbot, Barmouth and Cheetham Hill (Manchester)).